WIN #17: A Selection Of Lily O'Brien's Chocolates! 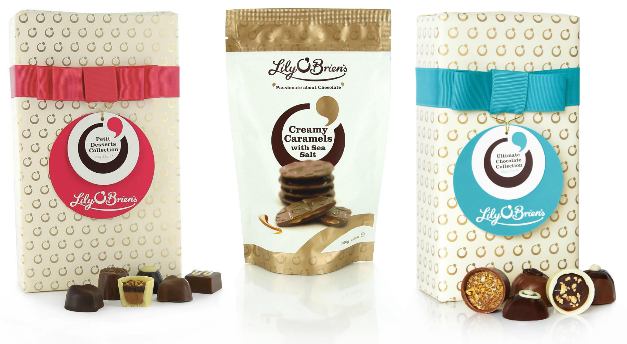 Win a selection of Lily O'Brien's chocolates worth £20.90! Lily O'Brien's Chocolates started life as the brainchild of Mary Ann O'Brien who, having recovered from a illness in the early 1990s, discovered her true passion for all things chocolate. Starting her own mini enterprise from her Kildare kitchen in 1992, after embarking on a journey of discovery amongst world class chefs and chocolatiers, with little more than two saucepans, a wooden spoon and her then toddler, Lily, the brand was born. Naming the company after her daughter Lily seemed like the most natural thing to do at the time and since then, Lily O'Brien's chocolates has established itself as one of Ireland's best-loved chocolatiers. Lily O'Brien's have kindly put aside three beautiful and delicious boxes of chocolates for one lucky reader/visitor of Unique Young Mum to win! 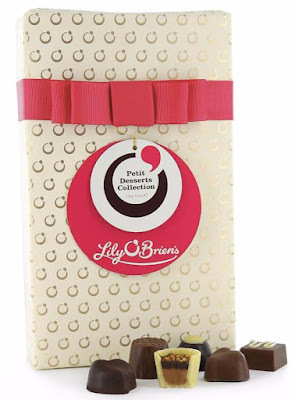 Lily O'Brien's Gift Wrapped Petit Desserts Collection - 235g - £10. The Petit Desserts collection is filled with an assortment of 24 chocolates with deliciously decadent Creme Brulee, Banoffee Pie, Passion Fruit Posset, Hazelnut Torte, Raspberry Infusion and Key Limey Pie. This beautiful box is wrapped in cream and gold paper finished with a stylish pink ribbon, making it the perfect gift! 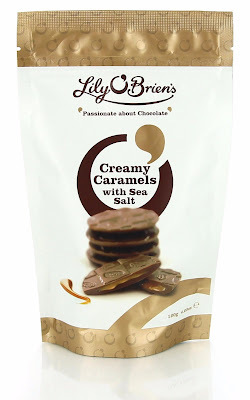 Lily O'Brien's Creamy Caramels with Sea Salt pouches - 120g - £2.60. Smooth creamy caramel in ''thin'' format with a caramel and sea salt centre covered in Lily O'Brien's famous milk chocolate. This re-sealable snacking pouch is the ideal option as a treat for yourself, a treat to share, or a treat to gift. Presented in a white and gold re-sealable pouch. 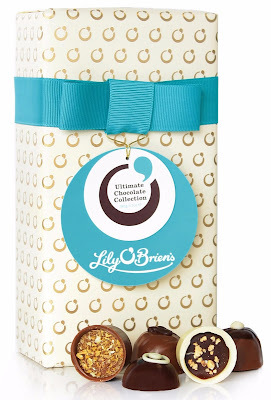 Lily O'Brien's Ultimate Chocolate Collection - 190g - £8.30. The Ultimate Chocolate collection contains 16 chocolates including; Double Chocolate Truffle, Simply Chocolate, Le Crunch Chocolat, Sticky Toffee, Hazelnut O'Brien, Caramel Macchiato, Death By Chocolate, Zesty Orange Chocolate, Lemon Meringue Pie and Praline Perfection. This beautiful box is wrapped in cream and gold paper finished with a stylish blue ribbon, making it the perfect gift! Please note: You must at least follow/like both Unique Young Mum and Lily O'Brien's on at least one social media platform! To find out more about Lily O'Brien's, and to view their full range of products, check out the official website here.